I'm a little more than halfway through the front of the vest. 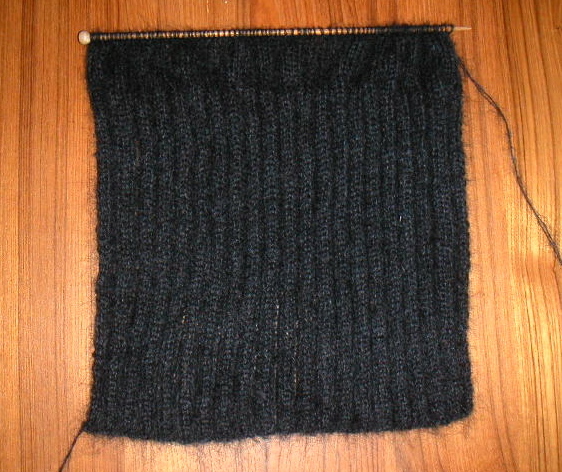 As you can see, I did mostly ribbing and have now switched over to plain stockinette for the remainder of the top part. For some reason this project seems to be going slow, but maybe it's because I haven't had any major mistakes happen. I just keep plugging away. I think I need something more exciting for my next project. I can't wait to browse through the newest issues of Rebecca and Rowan!